Codenames were a vital feature of World War II, serving as mental shorthand for those in the know, and obscuring the issues for those who were not. Codenames were used from the highest level, in the planning of grand strategic moves affecting the conduct of the whole war, to the lowest command divisions, in the conduct of small-scale tactical operations. This encyclopedia, first published in 1986, removes the mystery surrounding many of the important code names from the era. 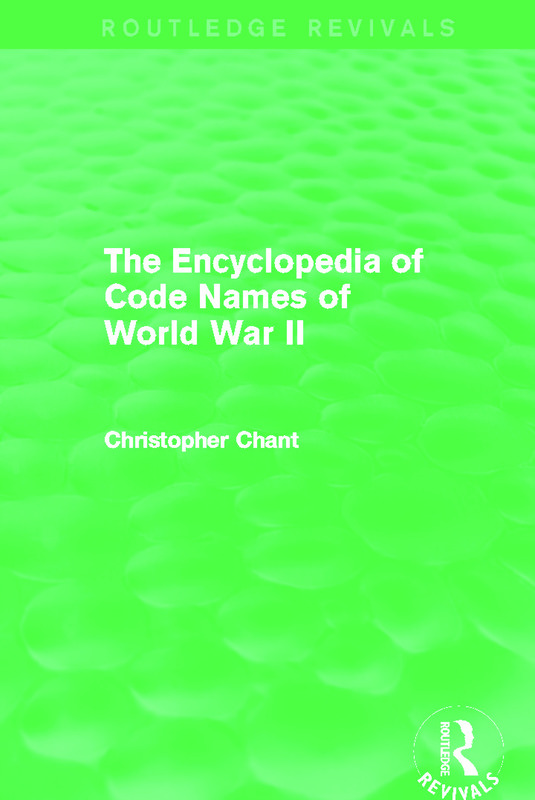 With around 3,000 entries drawn from all sides – the U.K., U.S.A., Germany, the U.S.S.R. and Japan – Christopher Chant’s work provides a uniquely comprehensive and full overview of major operations, names and code words. Thorough and exciting, this key reference reissue is an exceptionally valuable resource for military historians, enthusiasts and general readers with an interest in World War II.